Throughout his career, Cress Williams has played an Alabama mayor, the father of a budding football star, and a professional assassin. But there was one role that he has been wanting for quite some time: a superhero. After many years of waiting, Williams got his opportunity at the start of 2018, debuting as the titular hero in the CW’s Black Lightning. One of the first African American superheroes in DC Comics history, Black Lightning’s original comics tackled issues beyond your typical good vs. evil superhero adventure. These themes of social commentary can be found in the new Black Lightning show, setting it apart from fellow DC programming such as The Flash and Legends of Tomorrow. 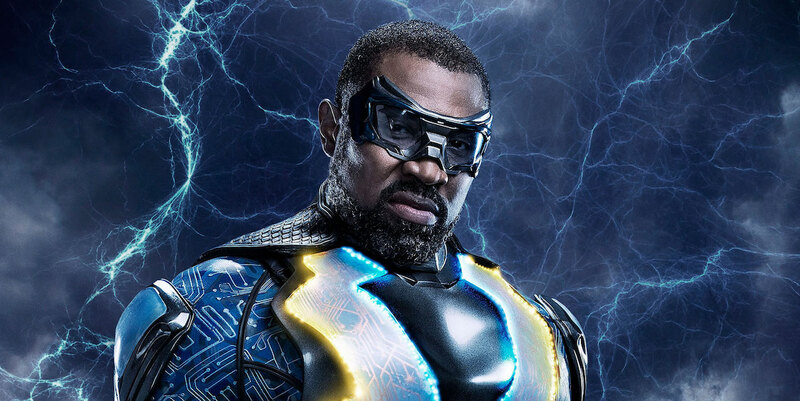 We spoke to Williams about portraying the character of Jefferson Pierce (aka Black Lightning), the show’s unique approach to the superhero genre, and the connection he feels to the electrifying hero. Innovation & Tech Today: What originally drew you to the role of Black Lightning? Cress Williams: Originally it was just my own dreams, really. I’m a huge superhero fan. I have been since I was a kid watching the Super Friends and X-Men and anything I could find on television. Once film and television started making superhero shows and it became an actual legitimate genre, it just kind of shot up to the top of my wish list. I was already intrigued just based on the fact that they were doing a superhero show that was an African American superhero. I thought that I could have a shot at it. Then once I read the script, it was a whole other level. I was really excited by the fact that it was rooted in much more of a real place. Actually, I think very few people know the original script was set in Watts. Even though they made it a fictional city, it still felt very much alive. Very real, very much like a real character. I loved that. I loved the fact that it was rooted in real issues. That first early scene when Jefferson gets pulled over by the cops just had me on the edge of my seat as I was reading it. I felt like we hadn’t seen that in this genre before. I’m a father and a husband. The fact that he had those ties. That he had a, well, ex-wife. But he had two daughters that he was raising, that really excited me. It was something I could identify with. I recognized the fact that we had never seen that. Really, the whole setting really got me excited. I&T Today: The original Black Lightning comic came out over 40 years ago. Do you believe it’s difficult to adapt a character so many years after they’re created? CW: When I read one of the issues of the 1970s, there was an issue that kind of dealt with immigration. I think it was a guy who was luring immigrants, illegal immigrants, with the promise that he was going to pay them. They were going to get great work and he was going to pay them great money. Then he lures them in and he puts them to work and then doesn’t pay them at all. This was a subject matter in one of the 1970s issues. I was really struck. I was reading it on a plane and I’m like, “Wow. This could be literally, with no change other than changing the costume, this could be translatable into today.” I think because of the way that Black Lightning was originally written, it lends itself to an easy translation. I think the root of it and the heart of it was always socially conscious and always kind of set in a real world. Fortunately or unfortun-ately, the issues that were in that world in the 1970s are still some of the issues we’re facing today. I&T Today: Superheroes have had a massive resurgence in popular culture in the past few years. Why do you think that is? CW: I think practically one thing is that technology, film technology, has come such a long way. What we see in the two-dimensional page and what we imagine in our minds can be done. With CGI and all the effects, you can really do it well and see it brought to life. I think that’s part of it. But I just think we desperately want heroes. Comic books and superheroes have been around for a long time. As far as America goes, they’re kind of our mythology. Comic book fans have been around for decades. I think just in our present day climate, we want heroes. We need heroes. They kind of take us out of feeling powerless. I think a lot of times in life we feel powerless. Politically. Economically. They give us that escape. I&T Today: You had said earlier you’ve been wanting to play a superhero for years. If you did have to choose somebody other than Black Lightning, who would you choose? CW: Prior to really being exposed to Black Lightning, I was really hoping [to portray] John Stewart in Green Lantern. Part of it is just, I think his powers are amazing. As a kid I was always fascinated by flight. I used to love when I had dreams about flying like Superman. I think about the Green Lantern; he’s a black superhero who actually flies. I think the special effects would be amazing with all the powers. It’s just however limited your imagination is what can be done. I was also drawn to Martian Manhunter as well. I loved that idea of being an outsider, and a shape shifter but choosing to be in the skin of an African American. That’s really interesting to me. I think those two. I&T Today: What do you really want your portrayal of the character to be remembered as? CW: My first job as an actor, and desire as an actor, is to always be truthful and real. That people won’t see Cress, but they would see the character. But I hope that the portrayal just rides successfully, because I think he’s a really positive character. The fact that he really believes in education and champions education. The fact that he has his daughters in his life, actively in his life. They’re not on the outside. He’s actively pursuing raising them. He’s still fighting to try to get his wife back. I’d say that family is first for him. Those are things, education and putting family first, that are very important in my life. I hope those positive attributes are really what stand out. I know it’s a superhero show, and I guess even if we didn’t have the kind of grounded human things that we have in our show, if it was just kind of like, “We’re saving the world,” the type of actor that I am, I’ve got to find the human touchstone. I don’t like playing somebody just straight two-dimensional. That kind of, at the root of it, drama and behavior and human aspect of things is something that always excites me as an actor. That’s always my hook.